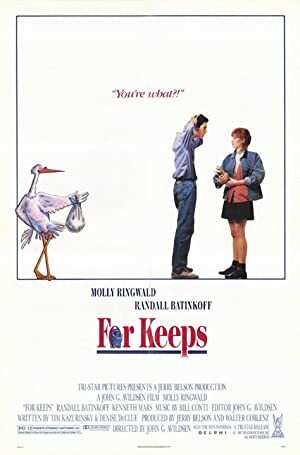 For Keeps (1988) – What's New on Netflix Canada Today! After she gets pregnant, a teenage girl must decide whether she should keep the baby or not. Darcy, editor at her high school paper, and her long-term boyfriend Stan are in their last months of school and already have found places in good colleges. Recently they started to sleep with each other and, surprise, surprise, Darcy gets pregnant. Neither Darcy’s mother, who was left by her husband and had to bring up Darcy alone, nor Stan’s Catholic parents are very supportive and urge them to have an abortion or give up for adoption respectively. However Darcy’s and Stan’s love is so intense, they could imagine to have a baby, but this would mean to give up their college careers.